Purchasing a property in Mexico calls for a little extra work than it does in the U.S. When choosing to purchase a property in Mexico you will need to find something that meets your personal needs and requirements. There are a lot of features that you will want to consider when speaking with your agent that will allow them to help you find that perfect property. PROFESSIONAL AGENT IS A MUST! 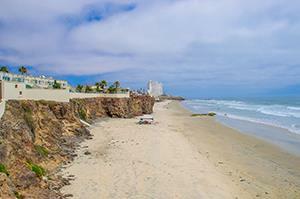 Baja123.com specializes in oceanfront and ocean view properties for the Rosarito Beach Area. Our agents focus 100% on the Baja coastline and are trained to provide professional service you would expect in the U.S. It is important to remember that Mexico’s real estate industry is not yet regulated and all agents are not the same. You will want to make sure you pick the right Rosarito Beach Agent so that you pick the right property. Most of the best real estate deals cannot be found online and require relationships with locals agent and property owners to not only know about them but have access to them. 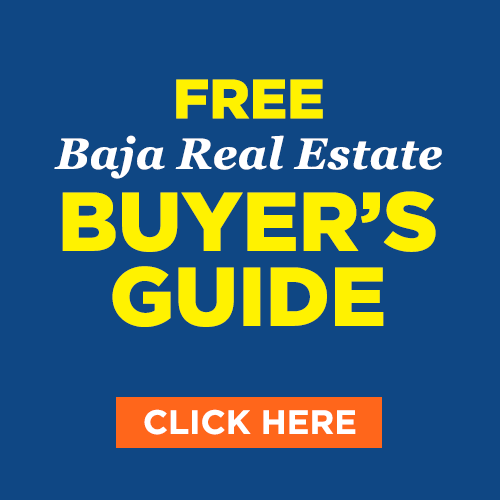 We highly recommend you use a Baja123.com agent to assist you in your real estate purchase here the Rosarito area. Is Leasing Land an Option? In 1920 the concept of the Ejido was adopted by Mexican President Álvaro Obregón, in the form of the "Ley de Ejidos" (Ejido Act). The government ceded land to local inhabitants, as a community, mostly of native origin, for use as farmland. While most people desire oceanfront properties you will need to consider some of the pros and cons of both oceanfront vs ocean view homes. There are obvious benefits to being oceanfront like having direct access to the beach, having an unobstructed view as well as higher appreciation rates. Ocean view properties are much more affordable while still having great views, are walking distance to the beach and are usually very sought out and desirable properties. 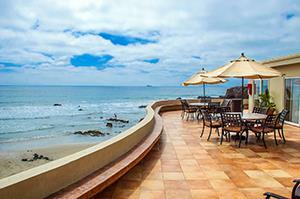 Baja123.com specializes in Oceanfront or Ocean View properties in Playas de Tijuana, Rosarito Beach and Ensenada. Let's take a look at some of the benefits of buying an oceanfront condo in the Rosarito Beach area. If this is your first time living in Mexico and you want to be oceanfront there are some advantages of buying into an oceanfront condo development. The number one advantage is oceanfront condos are more affordable than oceanfront homes. Condo developments come with a wide variety of amenities and features that most individual oceanfront homes do not have. For those of you who are first time buyers in Mexico, buying into an established oceanfront condo development will be the simplest and most affordable transition for you as many of the condo developments include a lot of services that individual homes will not offer. If security is a must, most condo developments are gated and guarded 24hrs a day. This is a great feature for those of you who will not be here year round and will be leaving your property unattended. Services such as electric, water, cable, internet are already established so connecting or disconnecting your service is relatively simple. As you and your agent start considering properties you will notice that some properties are advertised with furnishings. You will need to consider whether you will want a furnished property or an unfurnished property. Some advantages of buying a property furnished is that you will have a turn key property that is move in ready. All you will need to do is bring your personal items in and you are ready to enjoy your new home or condo. For some of you it will be important to either bring your own furniture or purchase new furniture. You may have certain styles or needs that suit you and your family so it is important that you inform your agent that you do not want furniture included which result in a discount from the listing price. It is important to remember that buying furniture in Baja might not be as easy as you are use to in the U.S. or Canada. If you do opt for purchasing furniture in the Rosarito Beach Area please let your agent know so they can advise you on the best places to shop. It is important to have an understanding of the Utilities and Services available in the development or neighborhood in which you are buying. To have a better understanding of the features of the Top Developments and Neighborhoods refer to our Buyer's Guides below. We have put together a helpful guide on Utilities and Services in Rosarito, which will allow you to know how to set up and pay your bills, as well as, other useful information. When you purchase a home in Rosarito Beach it's also important to know how you are going to get around. In most places there are paved roads and public transportation available, we suggest to check out our Top Neighborhoods and Developments Buyer's Guides to see the difference amongst them. You can also learn about Transportation in Rosarito Beach in our Baja Living section. These Buyer's Guides will help you review your options for Amenities, HOA, Parking, Garages and Roads. We have put together a list of our most popular areas in the Rosarito Beach Area.